Earlier this month, a statue of Helen Keller was unveiled in the rotunda of the U.S. Capitol in Washington, D.C. Many of Keller’s descendants attended the celebration, as did lawmakers from both sides of the aisle. The statue “will always remind us that people must be respected for what they can do rather than judged for what they cannot,” said House Speaker Nancy Pelosi. The bronze statue represents the state of Alabama (each state is allowed two in the Capitol). It depicts seven-year-old Keller standing at the water pump where “miracle worker” Annie Sullivan changed the child’s life. As Sullivan poured water over one of Keller’s hands, on the other she repeatedly tapped out an alphabetic code that spelled the corresponding five-letter word. 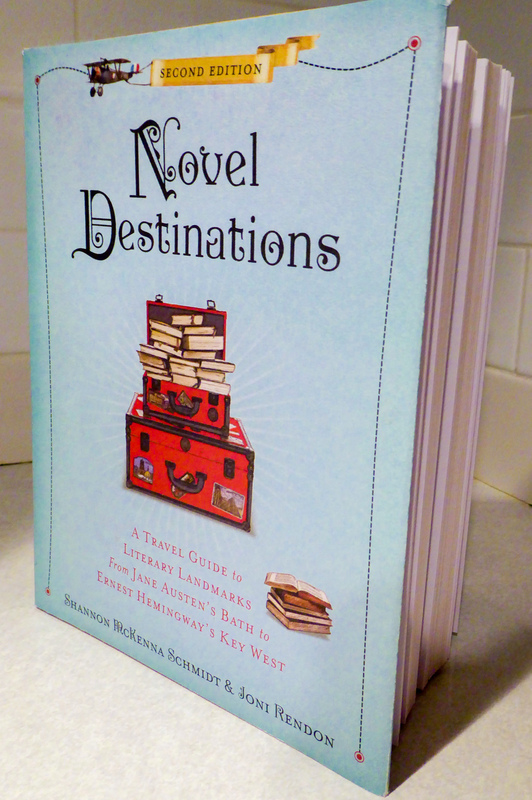 By day’s end, Keller had learned 30 words and soon mastered writing and reading in Braille. In 1904, she graduated from Radcliffe College, one year after the publication of her autobiography, The Story of My Life. Keller devoted her life to improving conditions for the blind and the deaf-blind, lecturing in more than 25 countries. The water pump still stands on the grounds of Ivy Green, the home of Keller’s grandparents in Tuscumbia, Alabama. 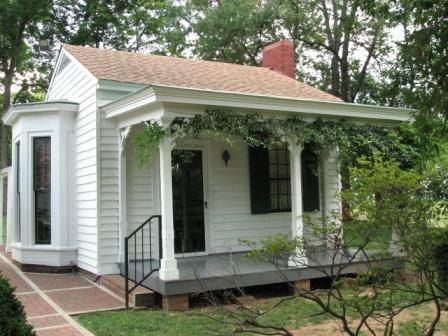 Also there is the two-room cottage (right) that was transformed into a bridal suite for Keller’s parents and where she was born on June 27, 1880. The plantation’s main dwelling—built in 1820 and the second house in Tuscumbia—contains family furnishings, china, silver, and other items such as a sugar chest, where the rare commodity was kept under lock and key. Personal mementos that belonged to Keller are on display, including her library of Braille books and original Braille typewriter. Situated between the main house and the cottage is the well-pump where Keller, who was named one of Time magazine’s 100 most important people of the 20th century, first learned to communicate under Sullivan’s inspired tutelage. Each year on weekends from early June through late July, playwright William Gibson’s dramatization of the young Helen Keller’s life, The Miracle Worker, is staged at Ivy Green. The Helen Keller Festival takes place annually in June with music, art exhibits, historical activities and more at various venues in Tuscumbia. Keller passed away in 1968, her death front page news in The New York Times. Her ashes rest beside those of Annie Sullivan in another Washington, D.C. landmark: the majestic National Cathedral, where a commemorative plaque is engraved in Braille. 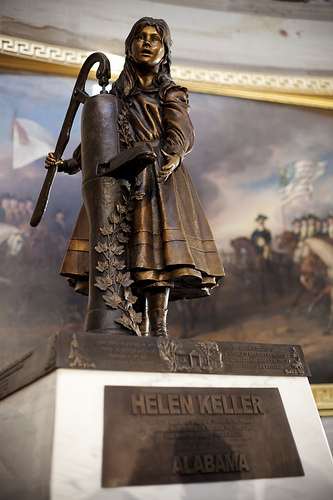 As a footnote, Radcliffe College also has a memorial statue of Helen Keller and, of course, it includes a water pump.